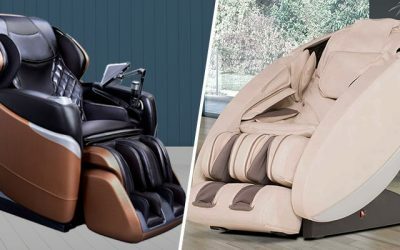 Infinity Massage Chairs has continuously manufactured high quality and therapy focused massage chairs, and their Infinity Iyashi massage chair is their crowning achievement. 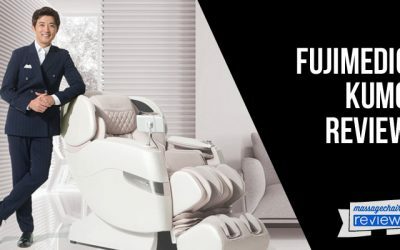 They have a handsome and modern design with a great emphasis on lifelike massage techniques, realistic therapy programs, and easy to use remotes. 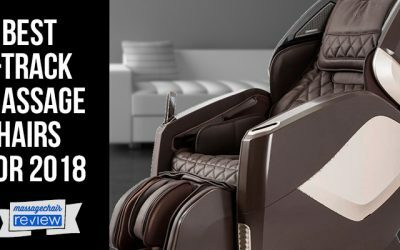 Infinity massage chairs also continuously come out with cutting edge products that are first in their class with functions and techniques that have not been seen before. 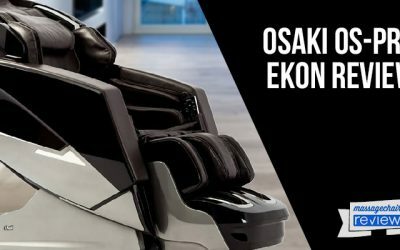 Their innovations have been fully highlighted in their widely acclaimed Infinity Iyashi chair which is known for it’s unique roller stroke and therapeutic design. 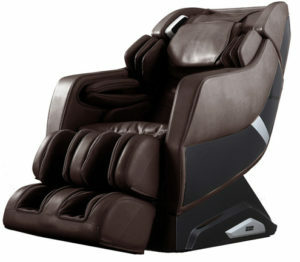 Infinity just released a more simplistic version of the Iyashi, the Infinity Riage massage chair. 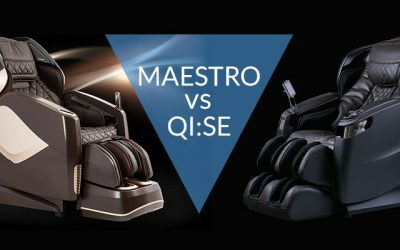 The Infinity Iyashi vs Infinity Riage massage chair comparison aims to take out some of the confusion for shoppers about which massage chairs have which features. We also make our pick at the bottom of which Infinity chair is the better buy. 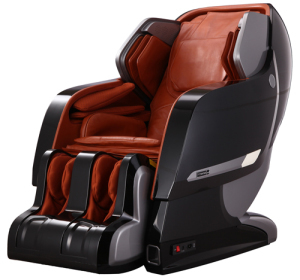 The Infinity Iyashi massage chair has a 49 inch L Shaped massage roller. This is longest massage roller of any chair on the market right now. This roller can massage a person who is 6’5” to 5’2” from their neck down past their buttock. This is great for someone with severe lower back pain and helps with full body circulation and lymphatic flow. 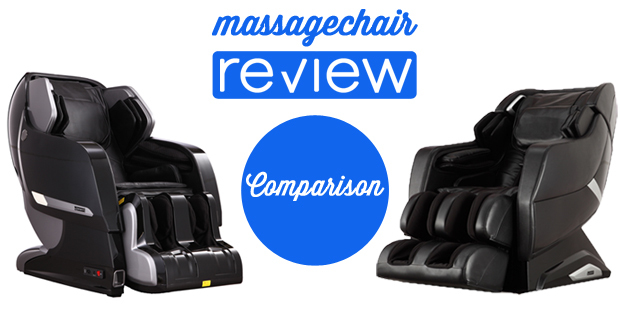 The Infinity Riage also has a 49 inch massage roller, but is built on an S tracking. The roller isn’t as smooth and must go into a recline to activate the full 49 inch roller stroke. There are 6 different massage styles on the Quad-Style roller and it has 5 speed adjustments, 5 strength adjustments, and 3 width adjustments. The Infinity Iyashi and Infinity Riage both have 38 airbags. The airbags in the Iyashi are intelligent multi-layered airbags that move in a wave like function during the massage. The Riage has a more simplistic multi-layered airbags. They provide a compression style massage. Both chairs have airbags located in the Shoulders, Arms, Hips, Calves, and Feet. The Airbags also have 5 intensity settings. There a 6 automatic programs in each Chair. 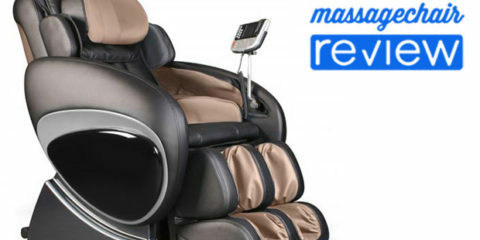 These include Recovery (strong full body massage), Extend (stretch, vigorous massage roller and airbag ), Relax (light full body massage and airbag program), Refresh (full body airbag program), Upper Auto (airbag and roller massage for the upper back neck and shoulder) Lower Auto (lower body airbag and roller massage, with hip airbags, seat twist, leg and foot massage). The automatic programs are great for getting started quickly and can be accessed easily through the handheld remote. The Infinity Iyashi and Riage both have some great special features. Some are related to a better relaxation experience and a few others are for better usability when getting a massage. Both have heat located in the lower back area. The heat is able to permeate throughout the entire back and lower body because of the pod design that the chair has. They both have seat twist that uses a swivel function in the seat and the hip airbags to stretch the lower back and hips. They both have Speakers with bluetooth connectivity. This allows for music to be played during the massage and also works with the music sync massage program. 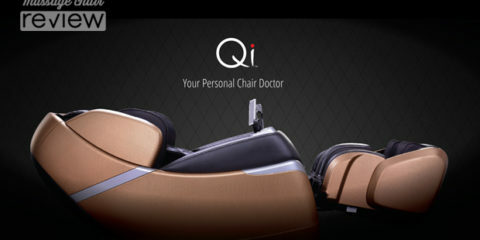 Each chair has an android app so that people getting a massage can control the chair from their Android powered device. They can also control the chair through the sleek remote. The remote has a backlit screen and an easy to use scroll wheel. This makes it easy to scroll through all the programs and massage techniques. A few other things that the Iyashi has that also enhance the experience is the SpaceSaver design. 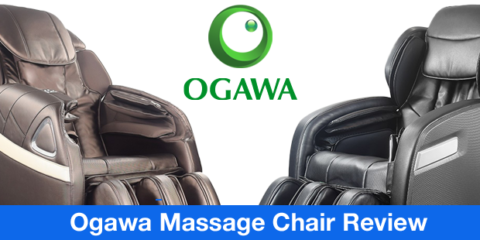 With the spacesaver feature the Iyashi can be put right up against any wall, and slides forward when the massage starts. The Iyashi also has Chromotherapy lights that help enhance the relaxation experience. These are best used in a dark room as they cycle through different therapeutic and relaxation colors. With a strong amount of similarities between the Iyashi and the Riage, there are some major differences. One is the exterior design of the chairs. The Iyashi has a modern design where the Riage has a more contemporary style. The Modern design on the Iyashi gives the chair a better relaxation effect because of the height of the side panels, and the way it encompasses the full body. When a person sits in the Iyashi they sit deep into the chair and this pod effect helps ease the mind and make the massage more effective. The Iyashi also has a Space Saver design so it can fit in tighter spaces. 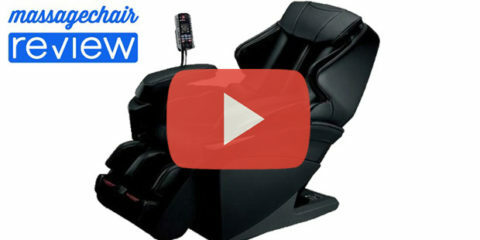 One other major difference is the ottoman extension that the Iyashi has on the remote. There is an automatic adjustment on both chairs during the body scan, but finding that right leg length can be difficult. The manual leg adjustment makes finding that perfect fit much easier and can make a big difference for shorter or taller people. The Infinity Iyashi will offer a better relaxation experience with the Chromotherapy and higher side panels that create the pod effect. The space saver will allow the chair to take up less space, and there are more color options with the Iyashi. 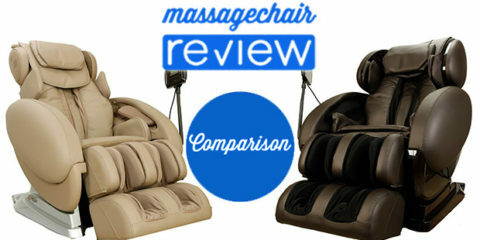 Its definitely the higher grade version of the two chairs, and has a more modern and handsome massage therapy look. We prefer the Infinity Iyashi over the Infinity Riage. They are both similar in price, with the Infinity Iyashi price at $5095 after promotion, and the Infinity Riage price at $4999.99 before sales tax. 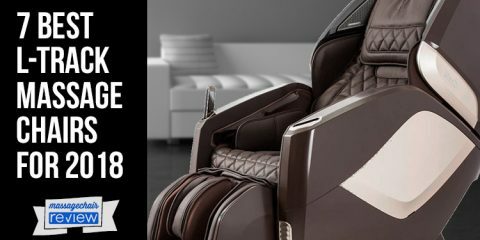 To find out more about the Infinity Iyashi massage chair you can read other Iyashi massage chair review entries. 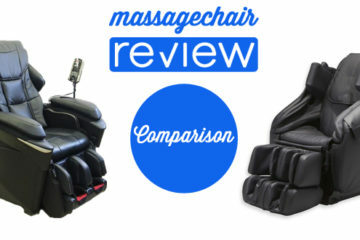 You can also visit our preferred partner at Emassagechair.com.